This is a statue in the Art Galleries in Glasgow. I think I must be there every second weekend more or less. While watching a film utterly dry of inspiration I drew this. This chap I met at a closing evening of a long running jazz night. I chatted away to him but my memory for names is not so great. So this is what he kind of looked like, if you recognize him mail me so I can link to his music and put a name to his face. Last but not least I have been regularly attending Dr Sketches in Glasgow. This was one of my attempts at a model who had quite possibly the most painful looking shoes on I had ever seen. My Threadless submission based on a fable by Aesop is in the running and seems to be getting good feedback. I used a homebrew SWF file for the presentation. It allows for zooming in and out with lossless quality. Woo! 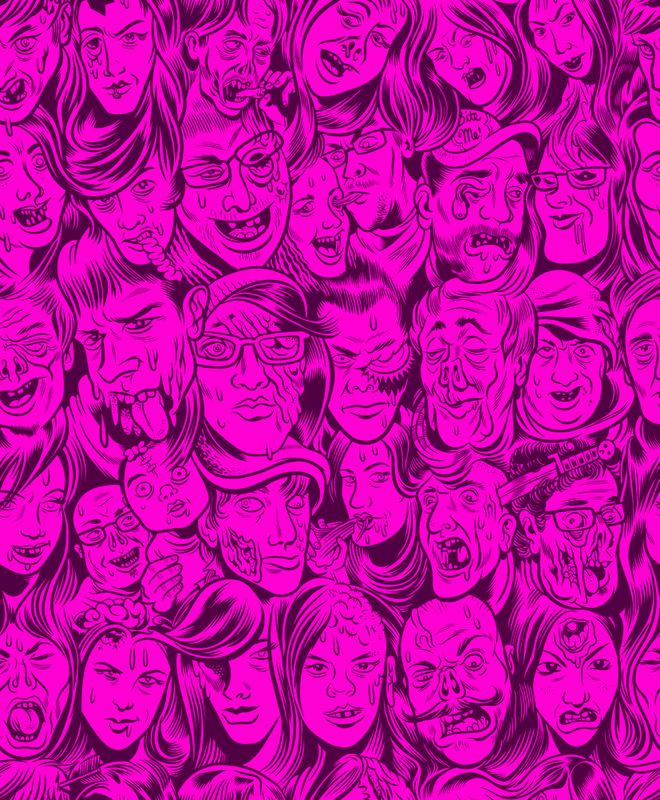 Get the 1920×1200 wallpaper here. Get a large, seamless tile here. It’s got gore - albeit toned-down gore. Regardless, gore is historically about as limp as a wet noodle voting wise. I’d been practicing my ability to draw a likeness by asking Threadless’rs for photos of themselves. I decided to turn that idea into a tee shirt and solicited 30 people for new photos and for their permission to use their likeness on a shirt. The tricky part was getting everyone zombified (for lack of a better term) while still leaving enough features intact to make them discernible. Now, I realize that their likenesses being recognizable was not necessary for the design to be successful. I thought doing so was the least I could do to repay them for use of their image as a point of reference. Mind you, I didn’t trace their photos or anything. I know some guys include tracing reference as a portion of their workflow. I’m just not comfortable doing that. Seems cheaty. The interesting thing about this tee design is that it features a seamlessly tiled image. It repeats endlessly in all directions. Over 30 heads repeated in a 5 across, 6 down table. For the record, number thirty was me. Oh, vanity! 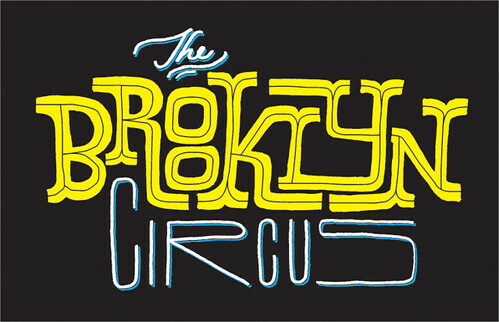 today’s post is a complete walk-through of some of my latest pieces for the brooklyn circus. as always, the good guys at the bkc are looking to push the boundaries of their customers’ style and, in doing so, asked me to design a bunch of custom hand-lettered shirts. each shirt will show my hand drawing, the design process, and one colorway sample of a shirt in completion. there’s so much more after the break, enjoy! 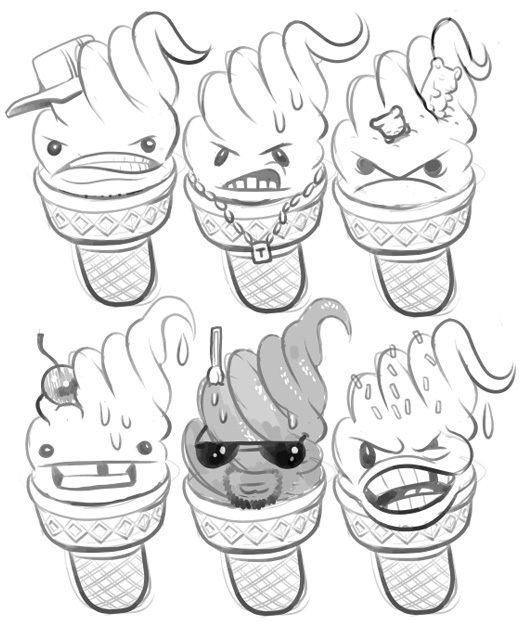 I was recently asked to create the logotype and mascot for a new, Chicago based clothing line named Mr. Tastees. 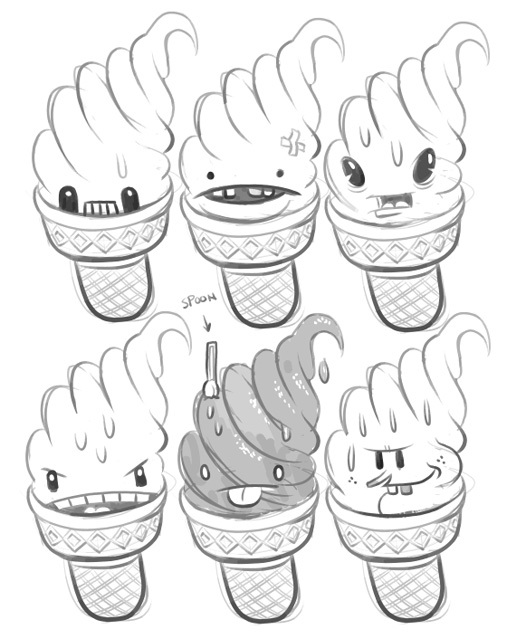 The art director indicated that an ice cream cone mascot that paired well with scripted hand-lettering was the ultimate goal. 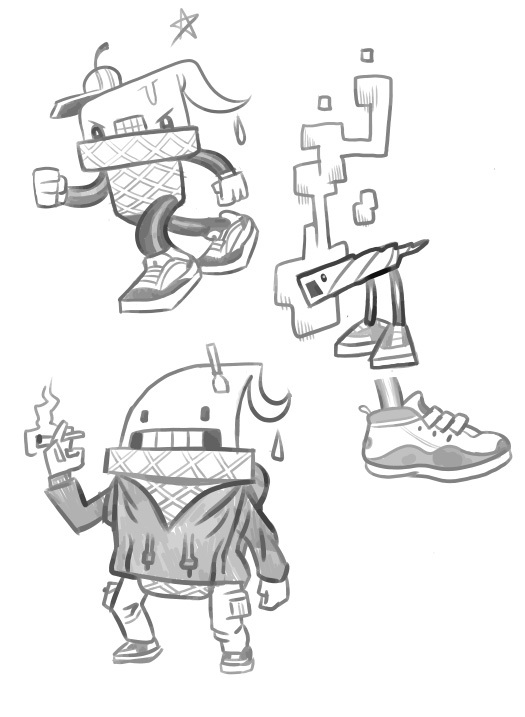 We went through a few revisions (in nailing down the look of the cone, mostly). They were worth it, though. The final is something I’m proud of and, paired with the Fox and Crow illustration from the last post, is clearly more cartoonish than most my work. Ultimately, it veered back to a more comfortable place and both the client and I dig the results. Thanks to Vimeo, I have a really easy way to post some of the longer videos that I’ve had sitting around. One such video is nearly two hours long and offers real time narration throughout. I’ve posted some of my digital pencilling and inking before. Here, I speak at length on my coloring as well. Before the video, however, come the pretty pictures! 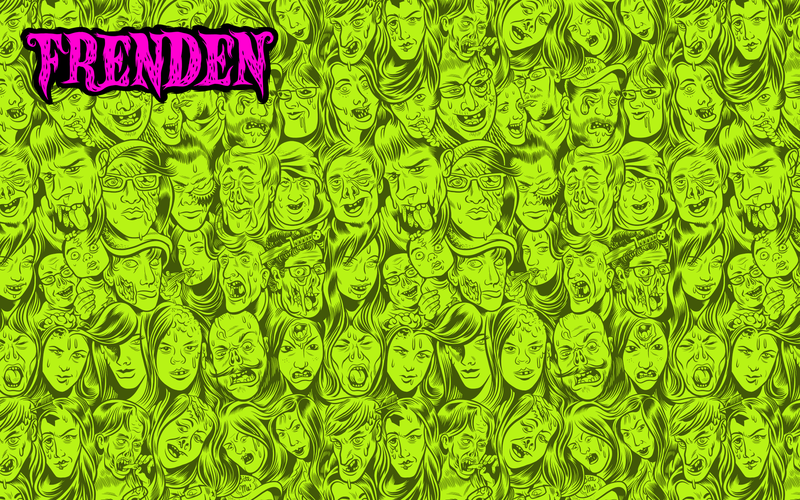 Electric Zombie Tee Creation from Ray Frenden on Vimeo. As usual, your feedback is really appreciated!